The Economist Intelligence Unit (EIU) will deliver a presentation on its Long-term Macroeconomic Forecasts: key trends to 2050, with particular reference to South Korea. Agathe is an analyst in the Asia team of The EIU’s Country Analysis division. In this role, Agathe leads The EIU’s analysis of a number of countries, including South Korea, assessing macroeconomic indicators, political stability and the investment climate. 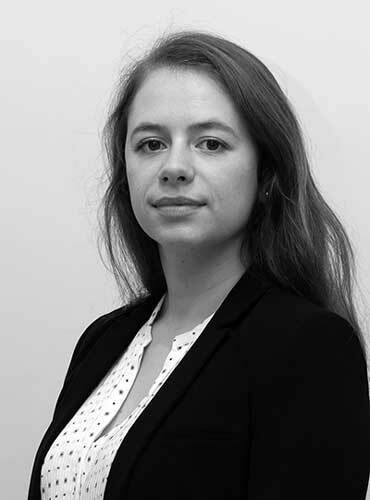 Prior to joining The EIU, Agathe worked for the French Treasury at the French embassy in South Korea, specialising in international economic monitoring and trade policy, covering the implementation of the EU-South Korea free trade agreement. The event will begin at 1830 with welcome drinks, Agathe L’Homme’s presentation will be at 1900. This will be followed by a Q & A session and a networking reception, ending at 2100. The BKS are very grateful to City law firm Addleshaw Goddard LLP who are hosting this event at their offices near Moorgate. Open to BKS Members and Guests. There is no charge for attendance, but numbers are strictly limited so please reserve your place giving name, telephone number and names of any guests to events@britishkoreansociety.org.uk or sign up using the BKS online booking form. The most earth-shattering thing about the EIU’s presentation is that there is nothing earth-shattering about the rankings of the world’s top economies in 2050 compared with today. The #1 and #2 spots change places as China overtakes the USA; India and Indonesia leap up the rankings to spot #3 and #4, (the rise of the latter, driven by its young and dynamic population is perhaps the biggest thing of note) while the economies currently ranking behind USA and China dutifully nudge down the scale, in more or less the same order as they are now. The forecasts are model-driven, ie they are based on current trends and economic data as well as scores relating to the openness and competitiveness of the different economies. The strength of this analysis is that it gives us a “base case” against which we can judge the actual outcomes. For one thing is certain: the outcomes will be different from the EIU predictions, because the model cannot take into account the unpredictable. It assumes peaceful coexistence of the two Koreas, for example. It assumes no disasters due to climate change. It assumes no radical change in policies by governments anywhere. So, as an interesting exercise in applying economic models it certainly has strong merits. But it cannot stimulate the sort of conversation and debate that a more free-thinking approach can bring forth – such as the topics discussed at the BAKS conference in 2012, which included talks presented by futurologists. The BKS has a write-up of the evening, with photographs, on its website here.